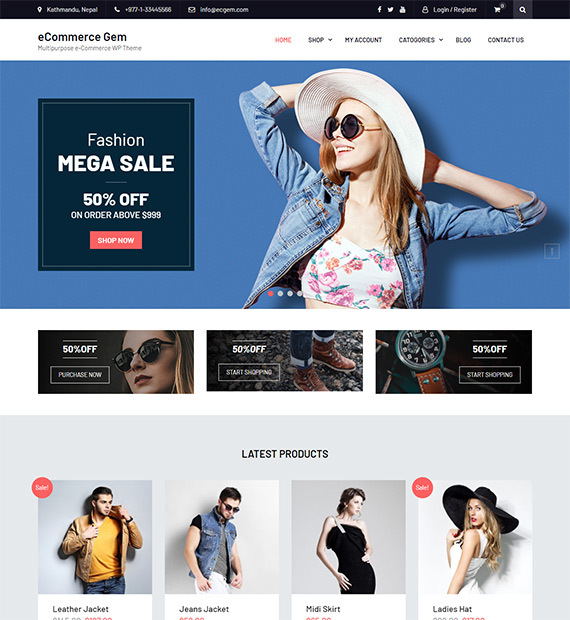 eCommerce Gem is a free to use eCommerce enabled WordPress theme built to allow a highly responsive and accommodating online market portal with ease. The theme provides multiple customization options to allow you to add your distinctive flavor to your WordPress website. Change color themes, easily setup homepage and menus, customize logo/favicons/taglines and headers with this highly elegant SEO optimized theme. eCommerce Gem also has features to allow you preview important as well as amazing products using its Featured as well as Latest product carousel, Featured product slider and more.